Situated in a rural environment in a luxurious private therapy studio, The Retreat has an excellent reputation for Holistic and Spa therapies. The Academy was created to teach selected Beauty and Holistic courses with outstanding training, specialising in one to one tuition. All courses use high quality organic products where possible and the therapy space is very well equipped. 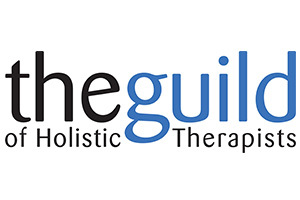 You will learn how to carry out your chosen treatment to the highest professional standard, safely and with all of the relevant theory and practical sessions necessary to achieve this. There is no extra charge for one to one tuition and set course dates are not required, You can book your chosen course on a day suitable to you, THIS INCLUDES SATURDAYS AND SUNDAYS. Refreshments are available throughout training days but students are requested to bring their own lunch. Lunch may be eaten outside in the garden on days with nice weather! Models are provided for most courses and should you need to provide a model yourself you will be given full details in your confirmation e mail. The environment is friendly and welcoming and gives students a chance to work in a real therapy studio. Your tutor is Victoria Weatherer who created The Retreat and has written the courses exclusively for The Retreat. 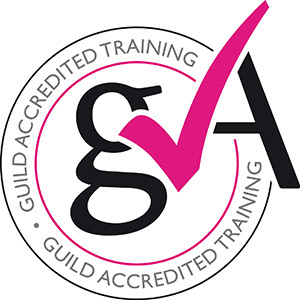 Our courses are accredited by The Guild of Beauty Therapists, The Guild of Holistic Therapists and verified by IPTI. This means that all students on successful completion of the course will be able to obtain insurance from the relevant accrediting body.